Many people are so afraid of getting rejected. Of course, who wants to be rejected? 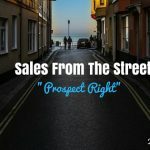 In this episode, you will learn how you can utilize a technique to be able to help you land more deals, close more opportunities, and grow towards more sales success. So listen in! Oftentimes, we fall into the category of being the “yes” person in the hope that we’ll be able to close the deal and do whatever we possibly can to get the business. However, you can’t just say yes to all things especially if it becomes too costly for you and your company. Or both of you just do not fit. Look at situations wherein you might get a lead. They might bring a lot of knowledge to the table and they may have done a lot of research and they want you to find out who’s going to be the best fit for them. Buyers can sometimes take control of the situation and tell you what you need to do. If somebody is that demanding, well, it’s something you would have to reconsider. The truth is you don’t have to be the one who says “yes” all the time. Stand your ground and be honest enough to say that you’re not going to be a good fit. 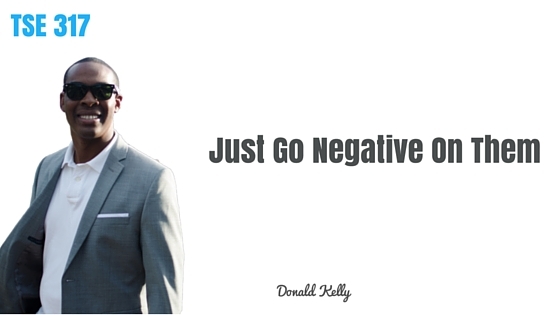 Go negative on them and go to the opposite. Yes, you need value. But recognize the clients you want to build strategic alliances with. You don’t have to say yes every time. Be willing to say no and you will be amazed at how many people see that you’re standing your ground and that you can’t be easily pushed.